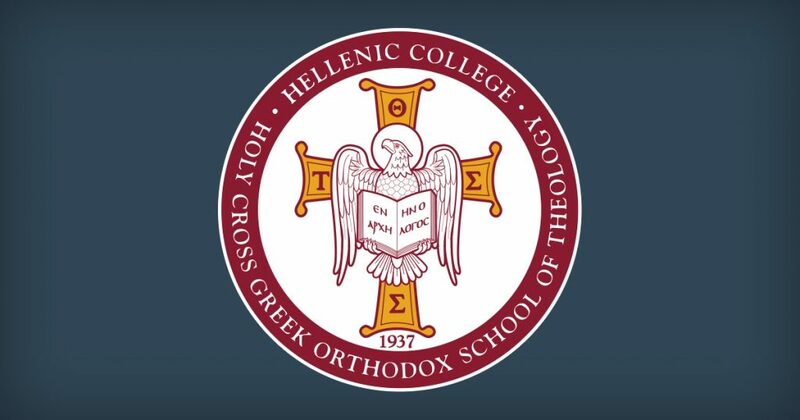 Our Hellenic College Holy Cross community celebrated Oxi Day with two very different but equally notable events during the week leading up to October 28, the day itself. Oxi Day, observed throughout Greece, Cyprus, and the worldwide Greek diaspora, commemorates Greece’s rejection on October 28, 1940, of Italy’s ultimatum that Axis forces be allowed to enter Greek territory or else face war. Prime Minister Metaxas responded with a single word: “Oxi” (“No”). 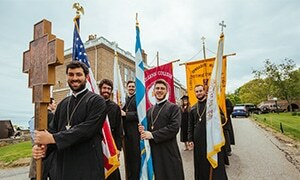 The first campus event was hosted by Holy Cross Bookstore, which was festooned with Greek flags, and featured songs and poetry offered by students, some in colorful Greek costumes. 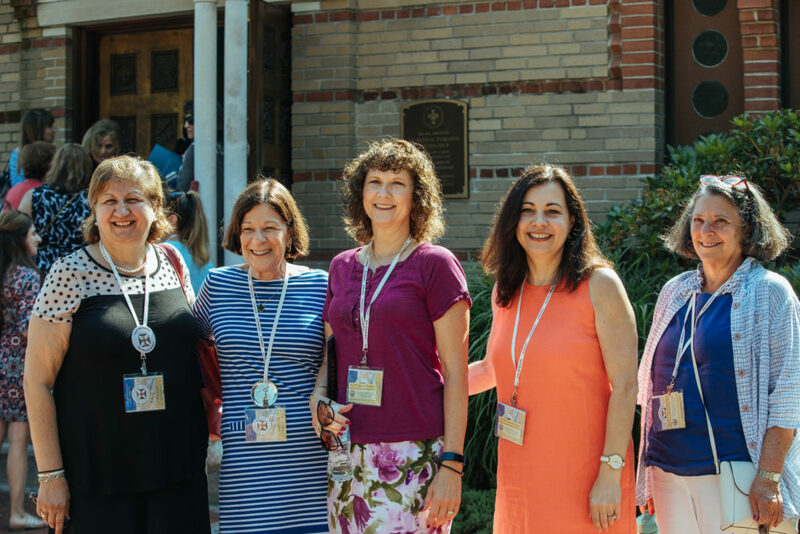 The audience of fellow students, faculty, and staff greatly enjoyed the performances and joined in the singing of the Greek and American national anthems. The second event was a poetry reading by the award-winning Greek-American poet and translator George Kalogeris. 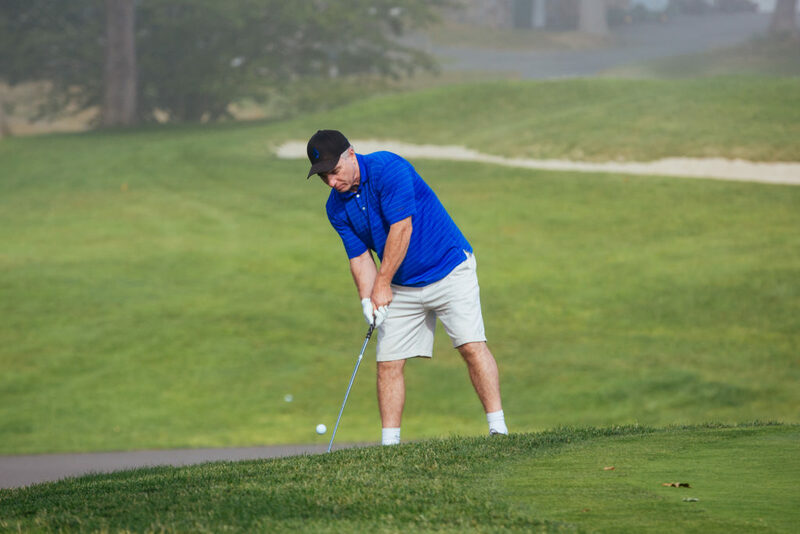 Professor Kalogeris is Director of the Classics Minor and Co-Director of The Poetry Center at Suffolk University. 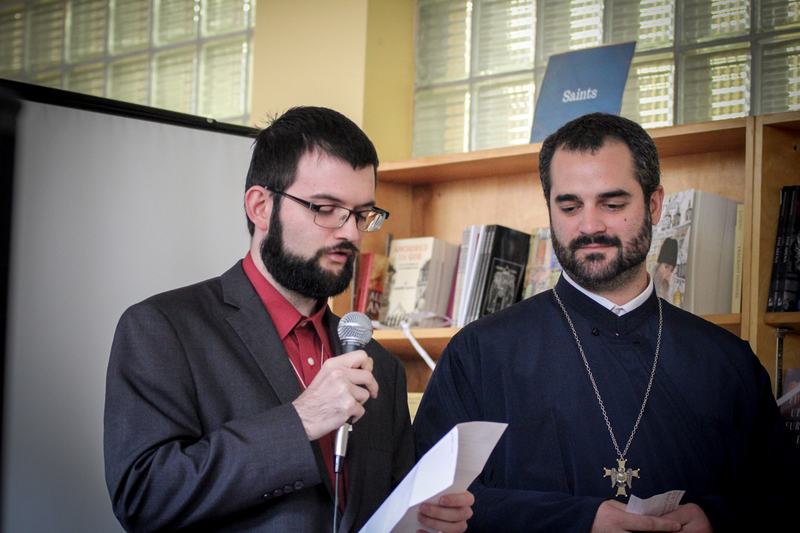 The reading, hosted by Hellenic College’s Classics and Greek Studies Program, took place in a venue never before used for a literary event: the Archbishop Iakovos Collection on the top floor of the Library. That magnificent space proved the perfect setting for the reading and discussion of exceptional poetry rooted in poignant memory and Greek identity.